This ancient remedy was helpful in resolving disputes in the latter part of the Middle Ages. If one farmer continued to cultivate a piece of land at the back of his farm and the farmer’s neighbor did not object, then after 7 years, he owned the land. At the time of course, it was not worth much. What is the purpose of squatter rights? The purpose of squatter rights was to regularize the boundaries of the properties. The added value of the cultivation of the property over a period of years was considered to be an investment and an improvement of the land. Be careful of your neighbors taking over your land, it could cost you a lot of money and possibly losing your ownership. 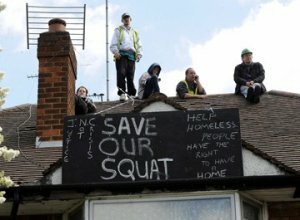 Most of us think that squatter rights were abolished many years ago. This is true to some degree. In Canada, we have two systems to register the ownership of land. Under the land title system, squatter rights were abolished. However, under the registry system, these rights have been preserved and accorded a rather exalted status. What happens to your land? 1. Loss of your land. Both hurdles have serious consequences due to the laws of the land. Liability: if somebody gets hurts on the land you own, it can affect your insurance rate and you can be held liable even though somebody else has the rights to use your land. The squatter rights are a big issue when thy neighbour has claim acquire rights. It has the effect of a double-edge sword, like losses to you. First, you lose part of your property. Secondly, it reduces the value of your property. How do you protect yourself from Squatter's? As shrewd professional real estate investors, you only have one choice, which is to sign an agreement. The agreement will waive any claim to the land and indemnify you from any lawsuits or liabilities. When you have an agreement signed, sealed and delivered, you can then consider yourself to be safe to a certain degree. There is an alternative choice to tell your neighbor or occupant to get off your land and bite the bullet. What is the time period to implement Squatter's rights? In accordance with the old common law rules, an individual who occupies a piece of property for a period of seven years of more may be declared to be the owner. In England, this was later changed by legislation to 12 years. In Ontario, it is 10 years. Other common law jurisdictions use other time periods but the basic rules are the same. Do you need to occupy the land for Squatter's rights? The occupation of the land must be open; it cannot be a secret or surreptitious in any way. It must be peaceable that no one is trying to throw you off the property, either physically or through the court. It must be continuous; otherwise the time period starts all over again. It does not mean that you can never leave the property. You may do so, so long that you leave enough of your belongs, you are still considered to be there. In the United States, squatting laws vary from state to state and city to city. For the most part, it is rarely tolerated to any degree for long, particularly in cities. In common law, through the legally recognized concept of adverse possession, a squatter can become a bona fide owner of property without compensation to the owner. Adverse possession is the process by which one acquires the title to a piece of land by occupying it for the number of years necessary, dictated differently by each state. A necessary component of this transfer of ownership requires that the landowner is aware of the land occupation and does nothing to put an end to it. If the land use by the new occupant goes unchecked for the said number of years, the new occupant can claim legal rights to the title of the land. The occupant must show that the "possession is actual, open, notorious, exclusive, hostile, under cover of claim or right, and continuous and uninterrupted for the statutory period. Squatters rights information is very difficult to find. and as always the writer delivers it.! The number of reading proves it.